Shed Series I is a string scale model of the shed. 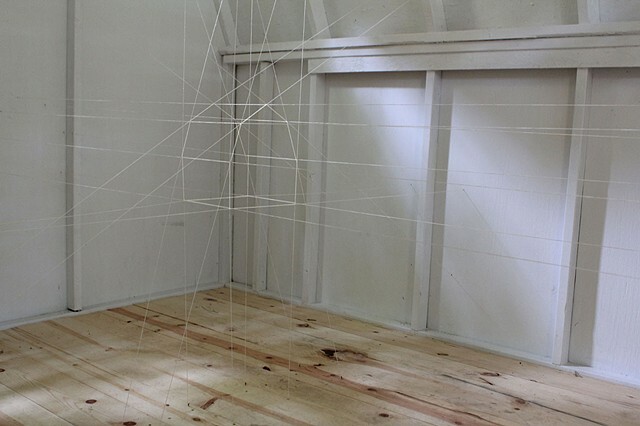 The strings represent the edges of the shed and travel to the actual walls of the inside structure. The strings become axes and the shed can be discerned where the strings converge at their origin.